So, I had a really great shopping trip today at CVS. Have I mentioned how much I love shopping at this store?! 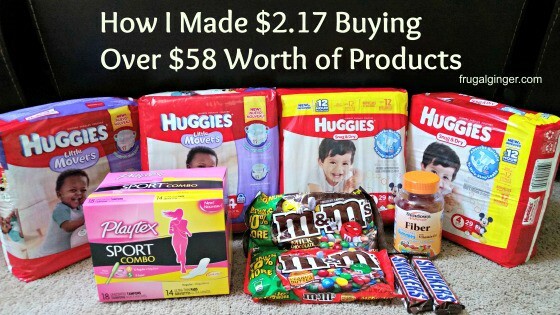 I made $2.17 today for buying over $58 worth of products! I wanted to share with you what I got and how I made money off of these deals so that you may be able to do the same at your CVS this week. If you don’t like to coupon but still want to save money, the best way to do that is to shop at Dollar Stores. They have some great bargains if you know what to shop for. Not everything is a great deal so you really need to know what to look for. Just like with any store, make sure to check their weekly ads and read over their coupon policy to save even more. 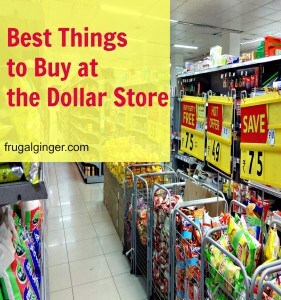 Here is my list of the 10 best things to buy at the dollar stores. 1) Party Supplies: You can get great deals on paper plates, cups, streamers, balloons, even party favors. They may not be name brand but they get the job done!